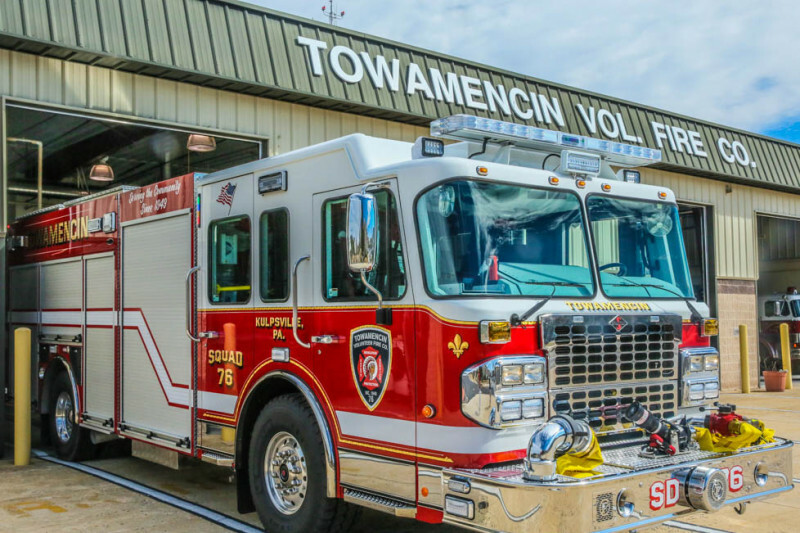 Towamencin Volunteer Fire of Kulpsville, PA is an emergency service provider of fire/rescue services for the township and surrounding communities, as well as a large stretch of the Pennsylvana Turnpike. We are proud to recently take delivery of our newest piece of apparatus, a 2017 Four Guys Rescue Engine (Squad 76). We are seeking assistance in funding this project in a different manner. We want everyone to be a part in a unique manner. Each contribution over $5 will allow your name to be included on the "wrapping" we will do on the truck. So individual, family, group/association or business, we will include your name (no personal messages) as we progress and add additional wrapping to the vehicle. We are hoping to get everyone to pass this along, so we can see how far reaching the social media world can reach and in how many continents all in an effort to serve a community. Pass this along to everyone on all your contact lists, and ask them to do the same so we can track how all the locations and see how successful this may become. So if you want to contribute in someone's name, or your own, we appreciate the and applaud and thank you deeply. In memory of Edward C Bender Sr.